The whole world is getting ready for the busy part of the Premier League schedule. With the international break gone, the Premier League will be seeing back-to-back action in the coming days and weeks. Pep Guardiola’s side is, by far, the most popular side in the Premier League at the moment. Their style of play, the way the hold on to the ball and how they use it to cause damages to their opponents has been a ground-breaker in England. Before the game at Huddersfield, talk was rife about which team could beat them. Huddersfield almost answered that question by scoring the first goal in the game. But the Cityzens dug in deep and won the game eventually. It is the second time this season that Manchester City would require a late winner in a Premier League game. The first was against Bournemouth. With Man. City winning by large score lines and also grinding out wins like the ones at Huddersfield and Bournemouth, it’s almost impossible to not see this team hoisting the Premier League trophy into the air come May next year. Next up for the Cityzens is the game against Southampton. Will the winning trend continue or are you foreseeing a shock loss for City in this one? 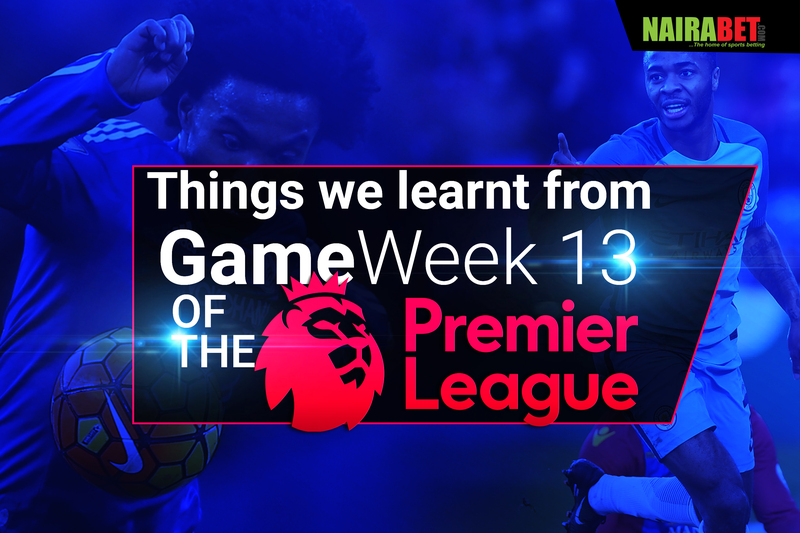 It almost seems as if every Premier League gameweek comes with its own version of controversy. This weekend, it was all about the penalty call that helped Arsenal win the game against Burnley. The game had already dragged on along into 90 minutes, with both sides yet to score any goal. Then an Arsenal player was adjudged to have been infringed upon in the Burnley 18-yard area. Replays showed it was a tough one but the referee chose to award the penalty. Arsenal won the game in the end but it was just another proof that maybe, just maybe, VARs may be needed to reduce the controversies in the world of football. For Manchester United, they’re about to set a new club record by going 39 home matches unbeaten, the start of that run was pockmarked with draws against inferior – in terms of ability and resources, anyway – opponents. For Liverpool, they’ve played 7 games at Anfield this season and they’re yet to taste defeat in those 7 games. For both teams, it has not exactly been the best of stories when they play away but they have found a way to make the most of the games they play in front of their home fans. Slowly and steadily, they’re making life hard for every opponent that enters their ground and it may just make the difference for them this season. Speaking of making a difference, another Gameweek is upon us this week. Tuesday and Wednesday will feature Premier League games (for those who didn’t know). Which teams will make their own difference in Gameweek 14? Click here to back your winners and earn yourself some cash. So far so good, which player has been your MVP since the 2017/2018 Premier League season began? Leave us a comment and let us know your thoughts.